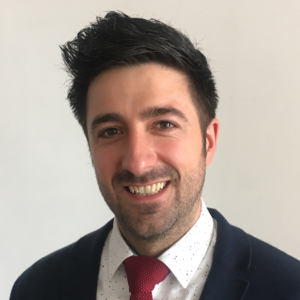 On World Mental Health Day Joshua Parkes, contact centre manager at National Debtline discusses a pilot referral scheme with Mental Health and Money Advice to support people experiencing particularly challenging mental health and money issues.  At National Debtline our advisers are all too familiar with the close relationship between issues with mental health and money. On a daily basis we hear from people whose mental health has been affected by their financial difficulties or where a mental health issue has impacted someone’s financial situation. Experiencing a mental health issue does not necessarily mean someone is unable to manage their money or deal with debt but it can make it trickier and there is often a close link between the two. Around one in four adults in the UK experience a mental health issue in any given year, while research suggests that half of all adults in problem debt also have a mental health problem. At National Debtline, 13 percent of callers cite mental health problems as the reason for their debt and it is one of the most common causes we hear about, along with job loss, taking out too much credit and physical ill-health. This year we have been working with Mental Health and Money Advice, who are supported by Lloyds Banking Group, on a pilot scheme that supports people with all aspects of money advice through a mental health lens. The scheme enables us to refer people who currently are unable to follow our assisted self-help advice without more intensive support from specialist advisers who offer casework in relation to welfare benefits, debt and other money issues. These specialist advisers offer one-to-one casework over the phone. This can involve advising on a range of issues, such as detailed welfare benefits specific to their mental health and money related issues, through to helping book a doctor’s appointment or filling-out a form on their behalf. Since the pilot launched in January the advice provided to people referred has already had a huge impact on many of their lives. Mental Health and Money Advice estimate that the total financial gain to the people we have referred to them at £159,538. This figure includes extra income from welfare benefits such as Personal Independence Payment, money saved on essential outgoings such as fuel, as well as debt managed or written off. For each person, this means they are on average £548 better off as a result of working through their situation with a specialist. Although, the project is not yet a year old, the feedback from those who have already engaged with the scheme has been extremely positive. Beyond the financial improvement, the process of being supported directly through casework by an adviser has often led to an increase in confidence and developing skills needed to deal with debt. The website that Mental Health and Money advice run is also a key part of this work. It provides practical advice and support specific to mental health needs on a variety of issues including welfare benefits, options for dealing with debts, and importantly, advice on where to get support with mental health. “The partnership between us and National Debtline really shows the positive impact collaboration between advice services can have, particularly for the most vulnerable clients. “We know people don’t like having to retell their story to different agencies, so the fact National Debtline is able to pass on information about people’s circumstances to us means we are prepared before we even speak to them which reduces the stress for the client in terms of having to explain everything all over again. “Our focus now is on reviewing both the number of people we’re able to help, the impact we have, as well as feedback from advisers at both organisations to see whether there are ways we can improve the service. Anyone experiencing issues with mental health and money should seek advice as soon as possible. Visit www.mentalhealthandmoneyadvice.org for further information. You can also visit National Debtline’s website for information about how debt and mental health issues often affect each other and approaches to dealing with debt.